Good news for International Roaming Prepaid mobile customers where BSNL has announced the launch of new ISD activation Special tariff voucher under GSM mobile international services. 4G Technology provider and Business Telecom Bharat Sanchar Nigam Limited introduced lowest price International Roaming activation pack for Prepaid IR customer which is available at different MRP rates according to the availability of telecom circle technical feasibility from 1st October, 2018 onwards. 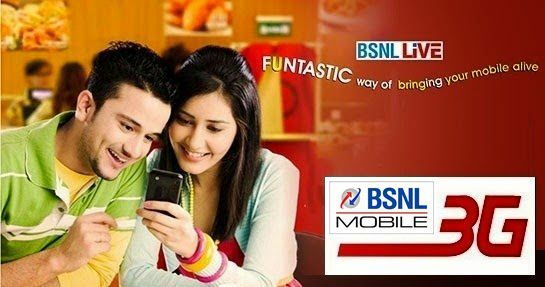 AS per latest information, BSNL on account of BSNL Formation Day i.e 1st October has decided to launch a special pack of Rs.56 (Karnataka), Rs.57 (East zone, West zone, North zone, Andhrapradesh including Telangana, Tamilnadu including Chennai) and Rs.58 (Kerala) which will benefit International roaming prepaid customers for activation as well extension of International Roaming mobile services. Prepaid mobile plan customer on activation of this pack will get 30 days validity (calendar days). The above IR pack will be implemented with effect from 1st October, 2018 onwards in all telecom circles in accordance with 43rd amendment of Telecom Tariff Order and instructions / guidelines of TRAI issued from time to time.